The Food Alphabet and More: It's back!!! 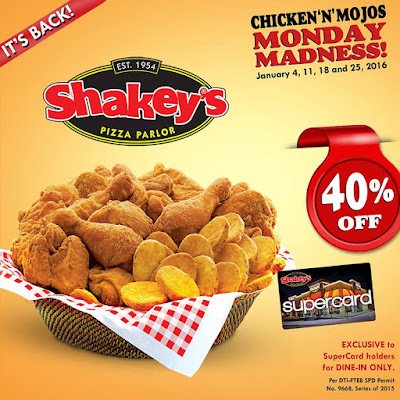 40% off on Shakey's Chicken N Mojos!! !